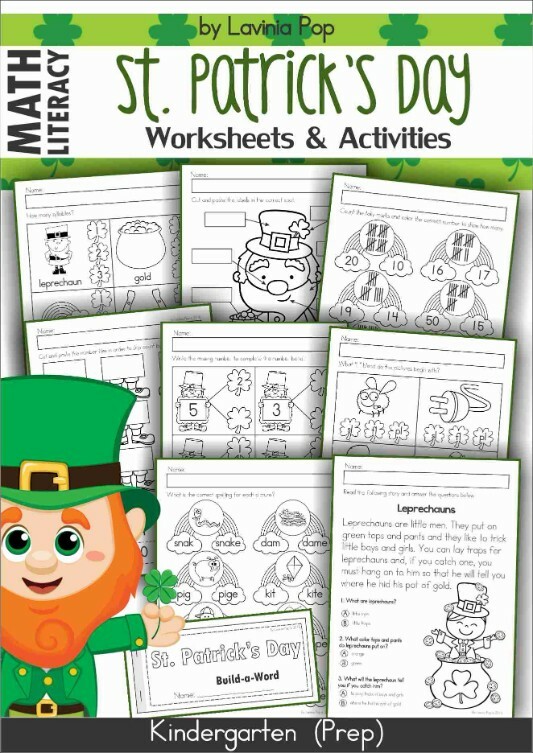 I just published the St. Patrick’s Day Math Centers for Kindergarten packet and thought I’d post the St. Patrick’s Day Literacy Centers for Kindergarten packet too! PLEASE NOTE: This blog post contains sample pages from my St. Patrick’s Day Centers for Kindergarten packet. You can download the free sample pages by clicking on the photos. 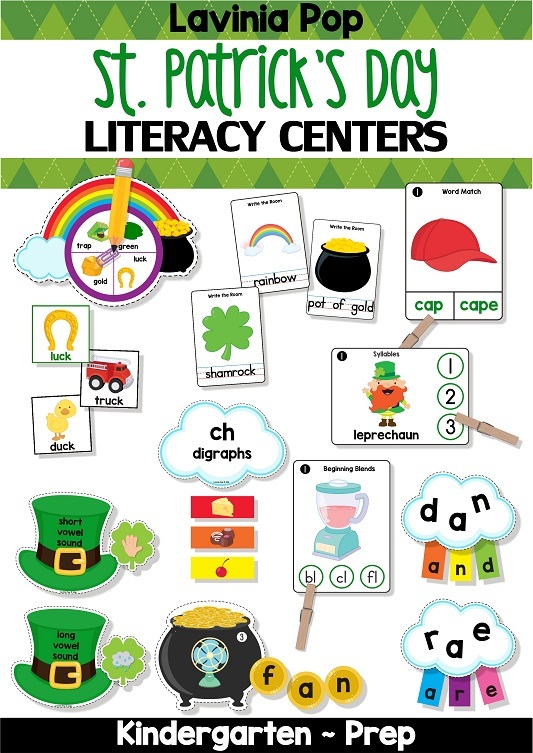 To purchase the complete St. Patrick’s Day Literacy Centers for Kindergarten packet, please click here! To prepare this activity for use, print the cards, laminate them and then cut them apart. Household pegs, or other small clipping items such as unused hair clips or paper clips, can be used for this activity. The aim is for children to identify the number of syllables in each word and clip the circle with the correct answer. Print, laminate and cut out the picture cards. The aim of this activity is for children to correctly identify the beginning sound of each picture and to clip a clothes peg to show their answer. Alternatively, children can use dry-erase markers to color the correct beginning sound. To prepare this activity, print, laminate and cut out all the pieces. The aim is for children to identify the beginning digraph for each of the pictures and sort them to the correct cloud. To prepare the cards for use, print, laminate and then cut them apart. Children are required to build the CVC word to match the picture. To prepare this activity, print, laminate and cut out all the pieces. The aim is for children to identify the type of vowel sound for each of the pictures and sort them to the correct hat. To prepare the cards for use, print, laminate and then cut them apart. Children are required to clip a peg on the word that matches the picture on the card. Print, laminate and cut out all the cards. You will need to supply children with a paper clip and a pencil to make a spinner. Children being by laying out in a row the green header cards. They spin the paper clip and pencil spinner on the spinning card and read the word where it stops. Children then find a matching rhyming picture and place it under the green card it rhymes with. This continues until all the cards have been used up. To prepare this activity for use, print and cut out all the cards. The aim of this activity is for children to select a card, collect the letters shown and arrange them to build a sight word. 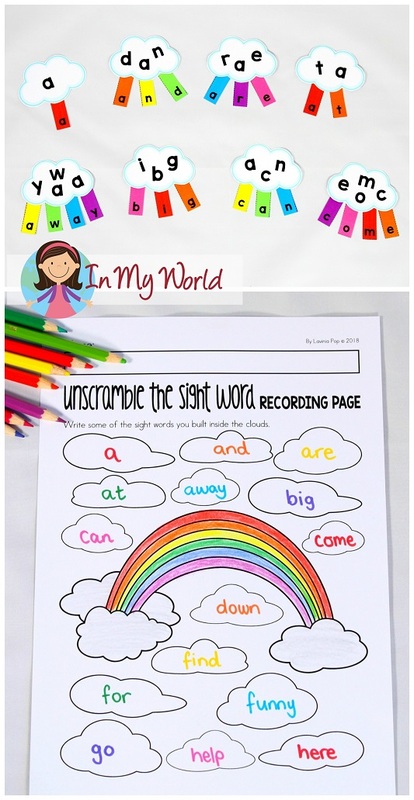 To prepare this activity, print, laminate and cut out all the vocabulary cards. Place the cards randomly around the room. 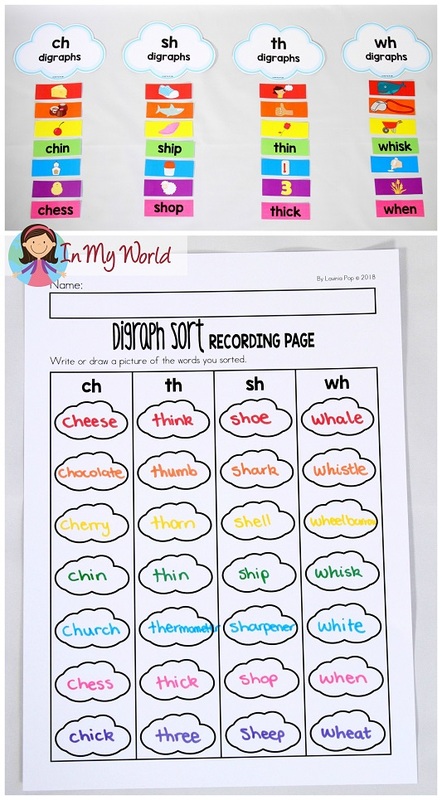 Provide your children with a clip board with the recording page/s. The aim is for children to find the picture cards and write the word next to the matching picture on their recording page. If you need something involving less preparation time, be sure to check out my St. Patrick’s Day Literacy Worksheets and Activities packet here!